Since 2004, the application of allowing solvent cement joints in CPVC fire sprinkler piping to cure for 24 hours has had a tremendous benefit. This is best seen in the drastic reduction of fire sprinkler contractor general liability claims derived from cure-time losses. While the focus has commonly been on service work when cutting into an existing system, a recent claim teaches us that the practice of 24 hour cure-time should be extended to new construction and installations as well. Recently, a new fire sprinkler contractor was brought onto a job just prior to the commissioning of a new system to replace the installing contractor. Apparently, the original contractor caused some issues on the job and after the pressure test produced a number of leaks, the general contractor said enough was enough. 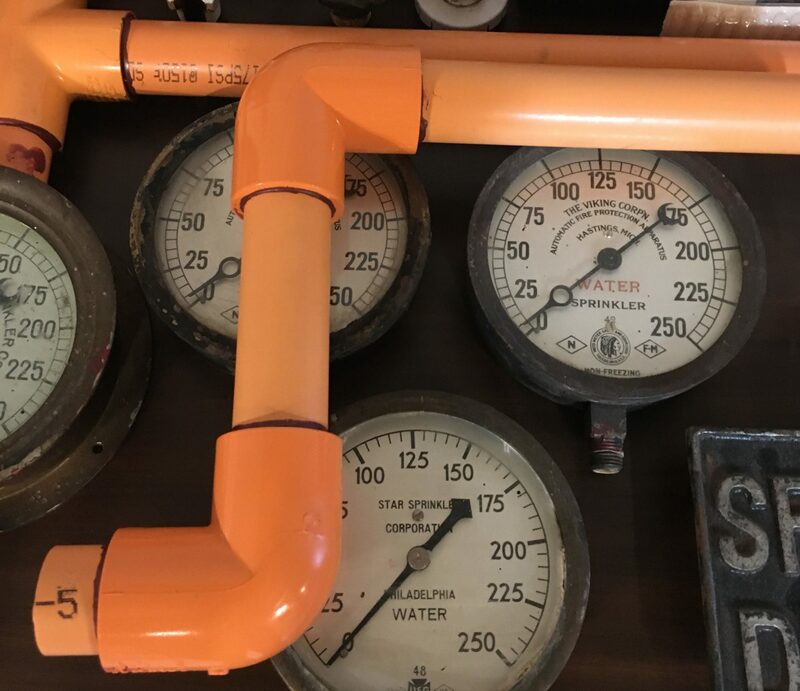 The new contractor cut-in and repaired some leaks to the CPVC portion of the system and proceeded to perform a pressure test. One of the joints let-go and the sprinkler contractor was stuck with a $100k general liability claim. This contractor has a very well run and managed service department, who practices 24 hour cure-time, and also uses a release of liability and notification to the owner, if ever pressured by the owner or AHJ to place a system back in service prior to 24 hour cure-time being met. However, because new installations of CPVC are rarely ever in the position in which paying attention to cure-time comes into question, the installation crew of this contractor was not equipped with the knowledge of this best practice. The lesson learned of this story is it makes sense to take one training session with your CPVC installation crews, and educate them on best practices for cure-time, just like you would your service crews. Note* – we have seen many contractors arm their trucks with listed repair couplings that do not require solvent cement for quick fixes, such as Spears FlameGuard GripLoc Repair Couplings. From an insurance perspective, these fittings reduce the chance of both cure-time issues and dry-fitting issues which reduces exposure. From your customers perspective, not having to discuss the potential of a fire watch is also an added benefit. To talk to insurance underwriters who value the work of protecting life and property and appreciate your industry, please contact or have your insurance broker contact the team at Risk Suppression Partners.